Alter The Press! 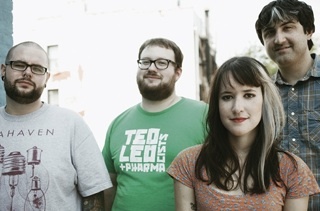 : Candy Hearts Cover Neutral Milk Hotel's "Love You More Than Life"
Candy Hearts Cover Neutral Milk Hotel's "Love You More Than Life"
Mariel Loveland of Candy Hearts has posted a cover of Neutral Milk Hotel's "Love You More Than Life." You can watch the singer's awesome rendition of the classic track below.